In our crossings we use only the most vital and vigorous plants that nature provides us during our selection. Taste and potency are key factors in the development of new varieties, as are stable and uniform genetics. Our seeds are guaranteed fresh and viable. 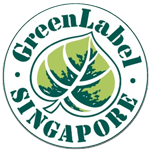 We frequently check with retailers and our distributors to ensure the quality and freshness of our product. We at GreenLabel firmly believe cannabis should be treated as nature\'s gift, and that this plant deserves better than the way that it is looked at by many nowadays. Its healing and medicinal properties have long been ignored and underestimated, as many governments found it easier to stigmatize the herb rather than supporting and financing – unbiased – scientific research.